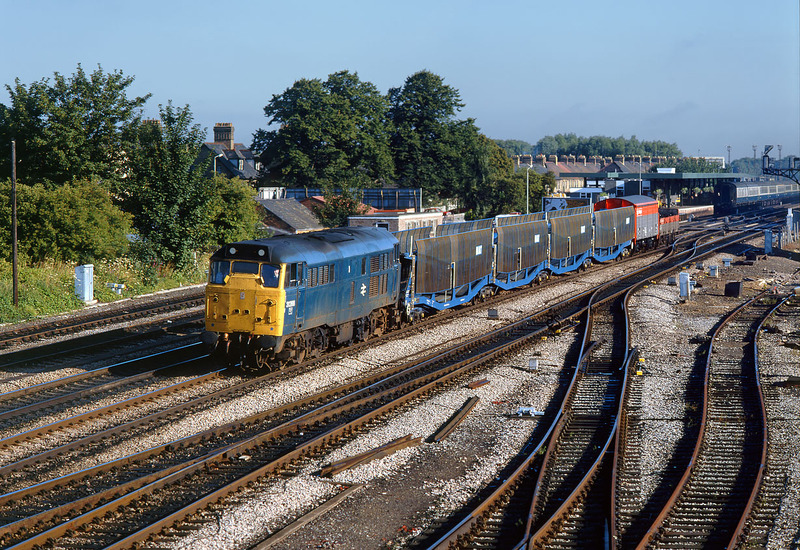 31288 passes through the centre road of Oxford station on 1 August 1986 with the 6V19 06:32 Bescot to Didcot Speedlink. Presumably the cartics will be dropped off at Morris Cowley, before the other two wagons are tripped onwards to Didcot. 31288 was withdrawn in May 1991, and cut up the following year at Booth Roe Metals, Rotherham.